The summer of 2006 was much better for imaging than so far in 2007. So since I'm not imaging this July I am reducing data from a year ago! This was taken with a cheap 135mm lens I bought off Ebay. 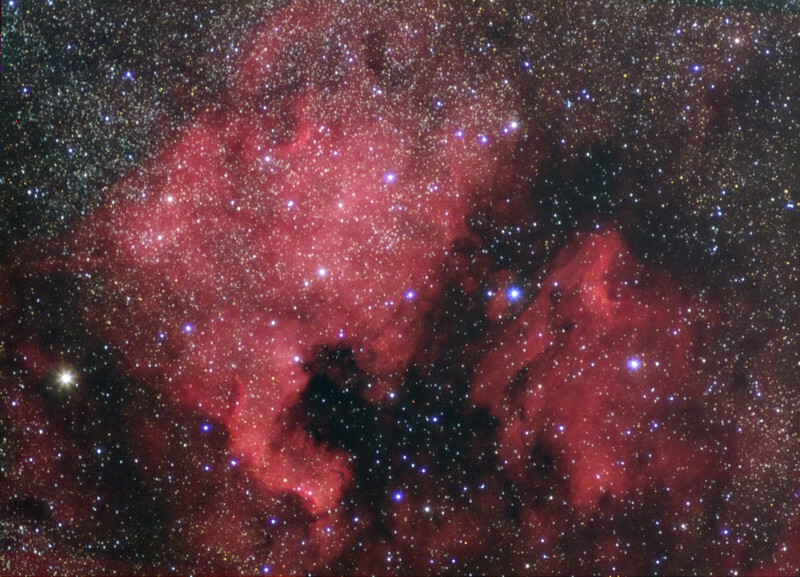 This is a HaGB composite, means the red data is actually taken with an H-alpha filter. The color correction is not so good on this cheap lens, but I left the blue halos in on the brights stars because I thought it looked neat.